A collection of unique and custom watches including some important TAG Heuers owned by Zef Eisenberg is set to cross the auction block at Bonhams’ Fine Watches & Wristwatches sale in London on June 21. Eisenberg is the World Land Speed Champion and holder of multiple British and world speed records. In 2016 Eisenberg and his Mad Max Turbine became the fastest turbine bike ever, reaching a speed of 234.010 mph in one mile from a standing start – faster than a Concorde take-off. The Mad Max gets its extreme speed courtesy of an enhanced Rolls-Royce C20W helicopter engine with special electronics. Eisenberg’s Mad Max Racing team was sponsored by TAG Heuer, and the brand created several avant-garde bespoke timepieces inspired by the bike, which are now part of the sale. In 2011, TAG created the Monaco V4, which featured the drive mechanism that was used in both bike and watch. A high-tech version of the square-cased watch made famous by Steve McQueen. The Monaco V4 was built with 4 barrels inter-connected with a NASA designed belt drive system, a design challenge that took TAG’s watchmakers five years to complete. 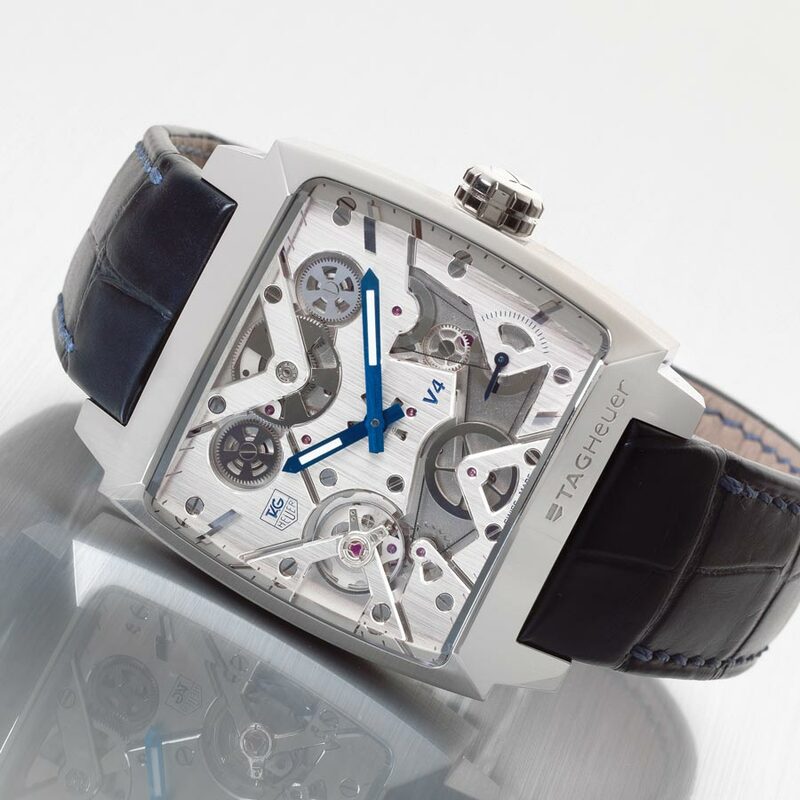 The platinum semi-skeletonized watch is expected to bring in up to $57,000. 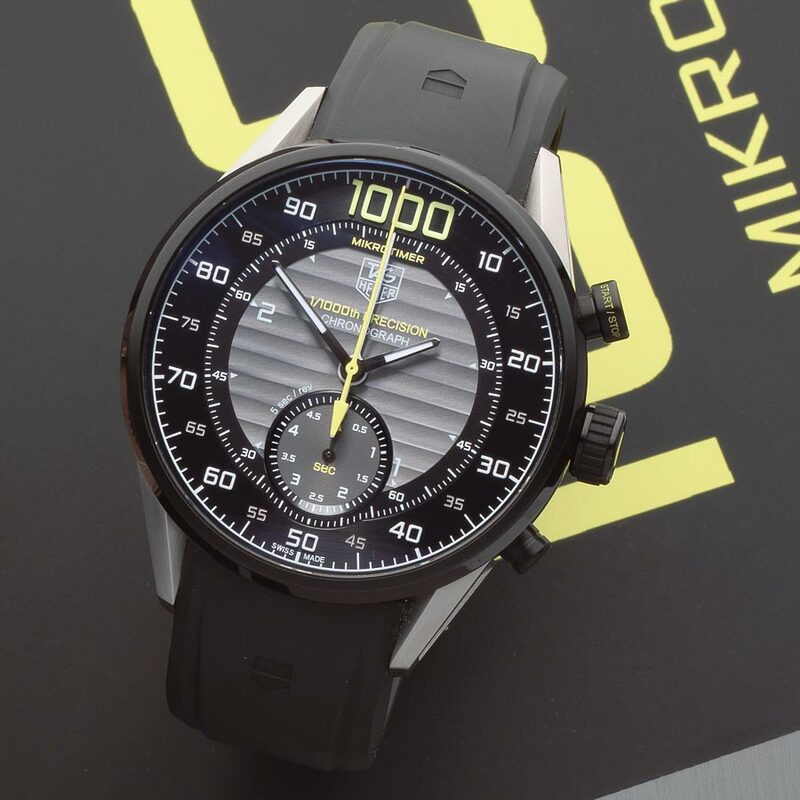 In 2013 at the Goodwood Festival of Speed, TAG attached the Mikrotimer Flying 100 to the Mad Max bike on the famous Goodwood hill climb to track the bike’s progress thanks to its 1/1000th second recording capability. That watch is estimated at up to $52,000. 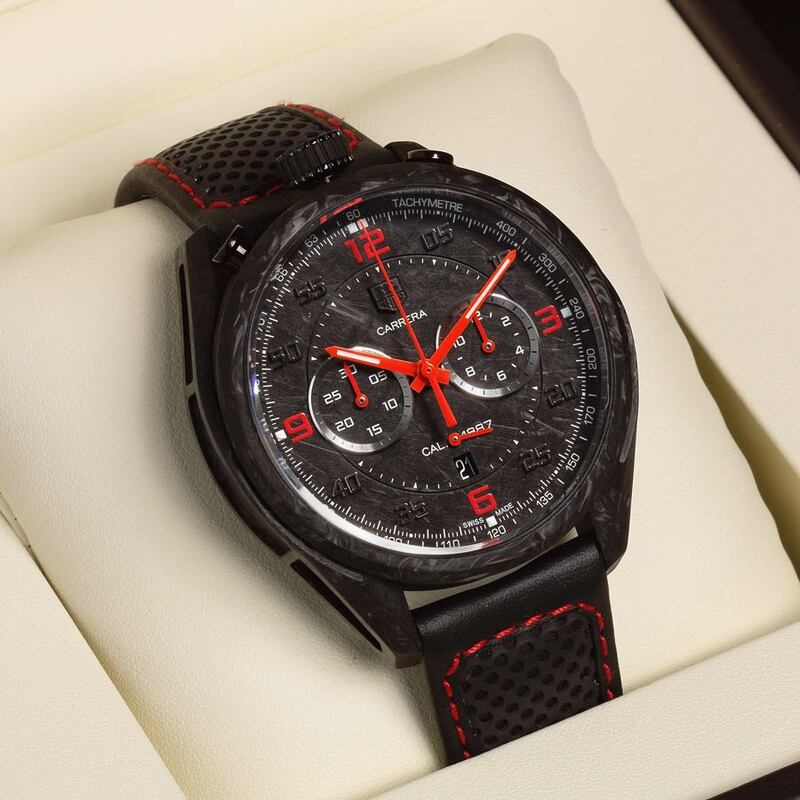 There’s the Turbina Carbon watch, created to commemorate Eisenberg’s achievements in an extremely limited run of only 10 pieces. The design incorporated many of the bike’s features such as the glowing red highlights and the matte black carbon bodywork. It also pays homage to the motorsport stopwatches of the Heuer era, with the crown and pushers positioned on top of the watch. Perhaps TAG is following Rolex to pay tribute like the new Sea-Dweller reference 126600 as its 50th anniversary for its collection. Eisenberg also collected pieces by Breitling, Blancpain, Jaeger-LeCoultre and others which are also included in the Bonhams’ Fine Watches & Wristwatches sale in London, though the high-tech TAGs are the big draw. Good luck….